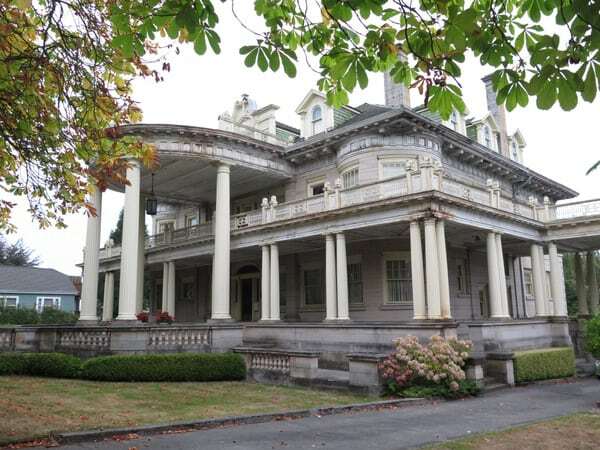 The 1905 Rust Mansion was known as Tacoma’s White House. Photo credit: Steve Dunkelberger. 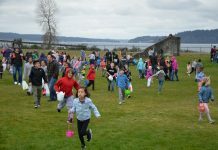 Throughout 2016, SouthSoundTalk has shared more than 300 stories about the people, businesses, events and organizations that make Pierce County an amazing place to live. With the year coming to a close, it’s time we turn things over to our writers. Each year, our writers take some time to look back over the year and choose their favorite stories. Thank you to our writing team, and thank you to our readers for spending another year with us! 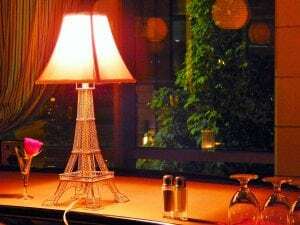 Experience Paris in Tacoma at the Aviateur Brasserie. Photo courtesy: Bertrand Young. I really enjoyed Michelle Robinson’s story about the French restaurant, Aviateur. Her take on the restaurant was unstuffy and genuine, which is a wonderful take on a place I might be worried to visit without otherwise buying a new dress for the occasion. I especially loved reading this because I didn’t know it was there before, so this story piqued my interest and I’m happy to say I had just as fine a time as she did when I visited. My favorite story of the year has to be about Odd Otter Brewing, though. Daniel Beers always shares stellar stories, and what a cool place to read about! Veteran-owned, serving fun and funky brews, pets welcome and fun events held weekly? What is there not to adore about this place? If you haven’t been you should definitely check it out. This has to be my hardest assignment yet. There were so many stories to choose from and I enjoyed them all for different reasons. From my short list of seven, I choose Vino Aquino – Your Friendly Neighborhood Winery by Kristin Kendle. The piece is heart-warming, intriguing and informative. The idea of Grandfather Gasparo hiding wine under his chicken coop during Prohibition is hilarious. The changes that owner Megan Bostic have given me several gift and entertainment ideas. A float cabin at Uncharted Waters in Tacoma. 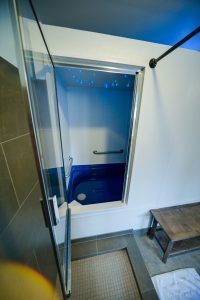 Float cabins include optional LED “stars” on the ceilings. Photo courtesy: Uncharted Waters. My favorite article that I wrote was for Uncharted Waters Float Center. I had never heard of such a thing, and it was fascinating to discover that not only was it relaxing, but it also actually helped my sore back. 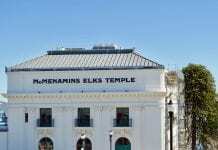 My favorite article by another writer was Why Doesn’t Tacoma Have a Chinatown? It was a question I had when I first moved here, and I was both shocked and fascinated by the history behind it. I think it’s important that we embrace and retell history, regardless of how uncomfortable it might be. I was excited to write a piece about Angie Whitten’s boudoir photography business last January. It’s humbling to see a woman, armed with just an idea, build a successful business from scratch. I love telling the stories behind the stories. Sure, people can appreciate the beauty of historic mansions, but for me, the real story is the lives of the people who called them home. My piece about Tacoma’s Rust Mansion was one of those stories. I’m all for linking history to modern life as a way to bring history alive. But sometimes doing the opposite works just as well. Highlighting once booming places that are now ghost towns provides people not only with ties to the area’s history, but it also illustrates that everything is fleeting.